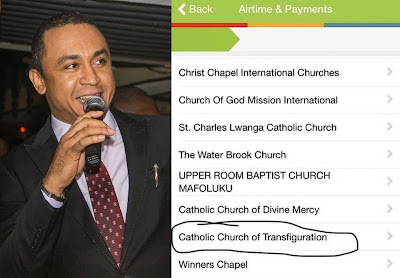 The controversial Cool FM OAP shared the photos of Nigerians churches using banks mobile app for tithes and offerings payment. "Catholic Church have you joined the winners? I am not understanding again o!"